Minchinhampton Academy’s After-School Fun Club (our school provision for after school care) is ‘good to go’. 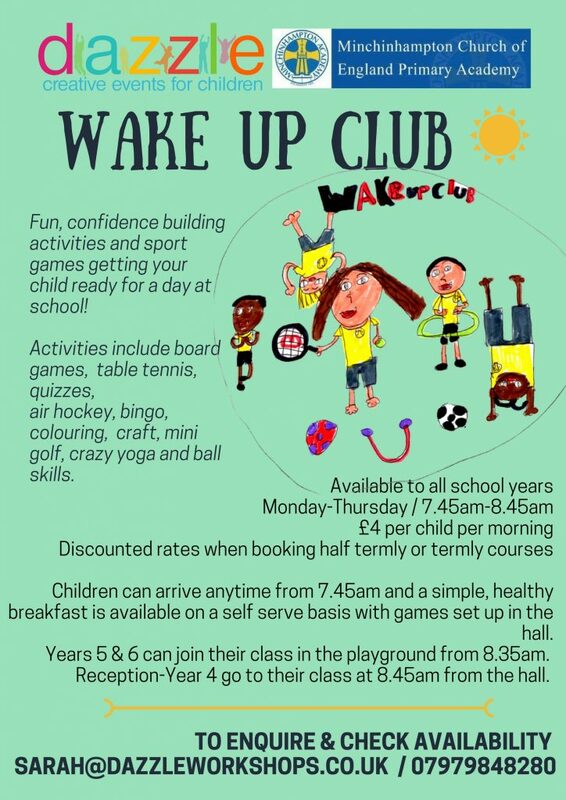 The club’s aim is to make an intrinsic contribution to the children’s all-round wellbeing through an exciting range of activities and opportunities. The club will be run in the familiar environment of the school and the children will have access to many of the resources and the grounds. The idea for a club was taken through a consultation process last year, including a parent survey and discussions with a working group. In January we put a flyer out about the club and we received significant levels of interest from parents. Once we knew there was enough interest, the next most important task was to find the right staff and we are really excited now that Rebecca Dangerfield and Tracey Hoppner, both of whom are well known to the school, and have worked here as Teaching Assistants, have agreed to join the team. The club will be run by Paula Hough, who is a very valued member of our school pastoral team. Paula is also a very experienced Teaching Assistant, who currently works in our Aqua Reception Class. We are also looking to draw on other existing school staff to run exciting opportunities for the children over the week. 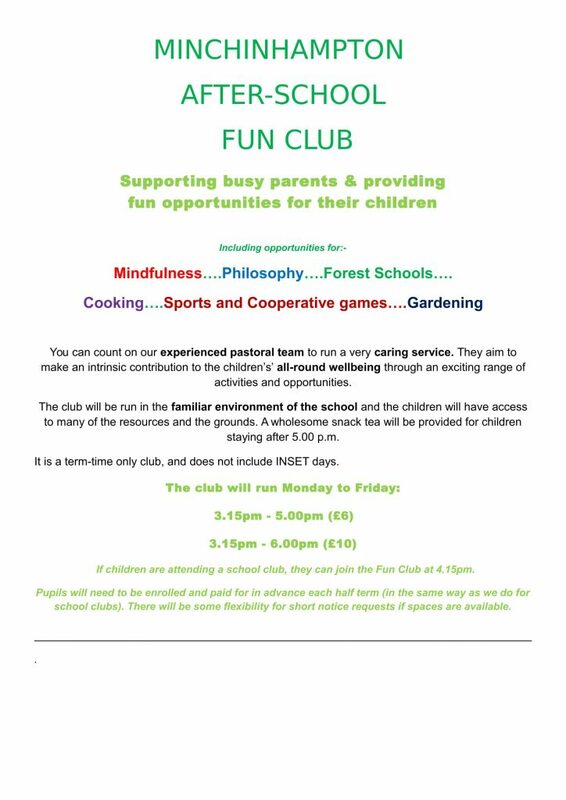 We are gearing up to start the ‘Minchinhampton Fun Club’ after the Easter break. If you are interested, we will ask you to fully complete our forms so the Fun Club team will have all relevant information about your child. You can book a place with a minimum of 24 hours notice. Completed forms should be sent to the school office or emailed to funclub@minchschool.net. Please get in touch if you have any questions for us. We would be very happy to meet with any parents who wish to discuss their child coming to the club.